The first time I went to Florida was in 2008 for Spring Break in Key West. At that time fishing was totally not on my radar. In 2017 I went to Naples, FL in January to go fishing. The weather was a little rainy and for numerous reasons we did not get out on a boat. We made sure to fish all neighboring ponds for bass and sneak around docks at night to jig some surface lures for snook. Considering I was still in grad school at that time, I remembered very distinctly watching a documentary about the effect of anthropomorphic changes to The Everglades and Lake Okeechobee. 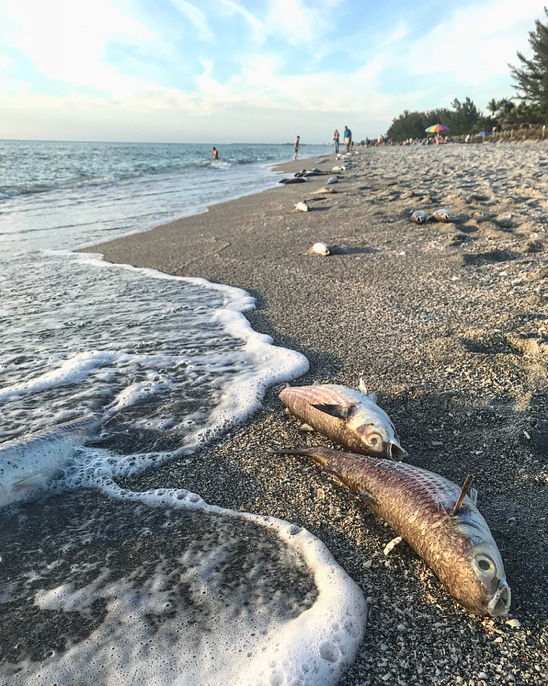 It was the first time I heard of “Red Tide.” I could not see any obvious indicators of this when I spent a week in Naples. This year I went to Capitva Island, FL in late February. The first morning we walked the 50 foot trip to the beach. There were dead mullet all over the beach. Red Tide was in the news. Later that afternoon we walked bayside to find more dead mullet. I obviously did not go to Florida to catch those spooky vegetarian mullet but we had a guided trip planned for the next day and I wondered how this Red Tide would affect the fishing. blowing a solid four chances, we moved onto deeper water where we caught sea trout and ladyfish in slightly cloudy water. My Echo Boost Salt and Evolution R Ross Reel got its first fish on a fly that was hand picked by Nick at Arbor Anglers. Clearly, from the photograph below, I also let my boyfriend test it out. I can confidently say that this salt setup will continue to take many tropical trips with me. But next time… it will hopefully see bigger fish. As the hours passed we moved just one more time. Huge darting snook chasing bait fish all around little mangrove islands. As we drifted we kept our eyes out for one thing as we kept blind casting; tarpon. Our guide had not seen any yet that season but the water temperature was just around 75 degrees and there were many other boats out looking for the same monster. During the last hour on the water we saw three tarpon cruise by us. It was my first time seeing a tarpon in real life...and it is truly hard to describe how monumentally huge those beasts are. I now can just barely start to imagine what it must be like to land one on a fly rod. 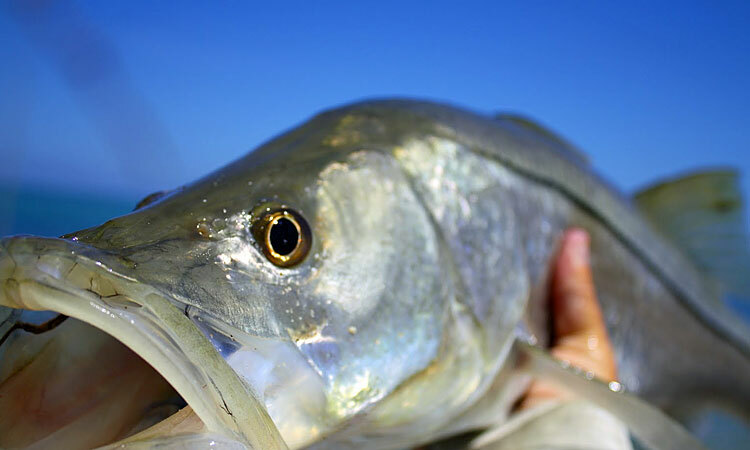 There is a reason so many fishermen and women claim their favorite fish to catch (or bucket list fish to catch) is the tarpon. That day did not turn out to be very productive but we joked that it was a “visual grand slam”. I learned so much on my first fly fishing salt trip and now have the image of a human-sized tarpon swimming around in the back of my head fueling my dreams and inspiring my next fly fishing adventure. Baja, Belize and Christmas Island here I come! We fished piers, rocks, beaches and from kayaks the rest of the Captiva trip. We saw a bunch of fish but nothing seemed to bite except those vampire-like sea trout and twitching ladyfish. That trip made me realize something. I used to not understand people that were purists about fly rods, bamboo rods, dry flies etc. On my Florida trip I saw tons of people catching fish on spin rods and with bait. 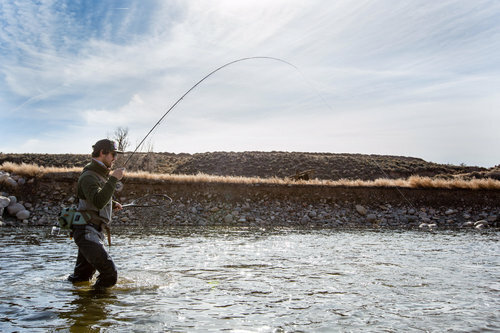 To me, it was more important to struggle through those growing pains and perfect saltwater fly fishing techniques than it was to catch fish on a spin rod. Don’t get me wrong, I have obtained (and used a couple) fresh and saltwater spin rods.. but now I just can’t use them if I have a fly rod… and I always have a fly rod rigged and ready. It’s 8:20 am, 22 degrees, and I haven’t seen a single fish. The morning welcomed me with a balmy 17 degree slap in the face as I opened the truck door and began to gear up. The day’s forecast looked to be in the mid 40s and mostly sunny. I layered up with the thought that I would be standing in frigid water in 20 degree temps for the majority of the morning. My base layer began with a wool blend long sleeve shirt, followed by the R1 hooded fleece pullover and the crux of this story: the men’s Patagonia Tough Puff Hoody. I have worn the hoody (or dare I say, jacket?) quite a few times out and about and once or twice fishing. But today proved to be the real test as my previous trips were not as cold as today and I would be fishing for the entirety of it. Let’s talk tech, shall we? First off, let me say that Patagonia designed the Tough Puff with anglers in mind, this is a piece designed for us. That being said, it has the versatility of any tech hoody you’ll come across. The outer shell is entirely polyester giving it a mechanical stretch which allows for freedom of movement, something we need when swinging and double hauling. The Tough Puff is also abrasion resistant, however, the material seems like it could rip rather easily, especially considering the type of terrain we fisherman like to navigate through. But I can attest to the strength as I’ll talk more about that later. To finish, the shell is given a moisture-shedding DWR coating. It’s not going to keep you dry in a downpour but it will get the job done in just about any other weather. The hoody is insulated with 60-g FullRange 100% polyester stretch. In short it will give you breathability, warmth, and again, that freedom of motion. The real great thing here: it stays warm when wet. So when you release that trophy trout (or maybe it’s a dink? Hey that’s ok too) your sleeves will get wet but the material inside will be working to repel that moisture away, in turn keeping you warm. Lastly, the Tough Puff comes with two vertical-zip fly-box pockets on the chest and two lower-zip hand warming pockets. As I begin my walk back down to the lower section of the river with the hopes of finding trout on the move the temps are looking up. The sun is gaining power and my body heat is rising. I’m not really feeling the cold, in fact the only part of my body affected by the cold air are my gloveless hands. My core is toasty but not too toasty and as I walk past the truck I briefly consider shedding a layer but quickly dismiss the thought as I’m totally comfortable. I pass fisherman after fisherman with almost all of the good holes occupied. I guess Thursday mornings can be considered weekend territory in Colorado now. I finally start getting into fish around 10:45. The temperature is 42 degrees and I remain comfortably content in my clothing. As I release little cutbows and rainbows I let my sleeve dip into the 40 degree water. The DWR and FullRange insulation prove to be effective in keeping my arm warm. At 11:27 I land a sizable brown fooled by a size 18 caddis larva. I make my way for new water and come across some leafless branches of a seven foot bush. I whack my way through them paying more attention to my rod than to my new hoody in which material I foolishly thought wouldn’t hold up. It holds up, not a scratch or scuff in sight. At noon the wind rolls in at around 20 mph gusts. I fail to notice any air break through the jacket. I’ve heard in stronger conditions wind will find its way in but currently the Tough Puff is holding up just fine. I make it back to the truck at 2:45 and tear off my waders and layers. I pull my R1 off and put the Tough Puff back on for the drive home. The material is so soft and cozy it feels like your favorite cotton hoody. Actually the Tough Puff even looks like a hoody from a distance. Only once in close you start to see the sleek technical design with jacket-like qualities. Is there anything I don’t like about the Tough Puff you might ask? Well, it’s not as packable as say their Nano Puff or Micro Puff jackets. You could easily pack this into any overnight bag or backpack but you would find it difficult to pack in a smaller sling or lumbar fishing pack. It’s not waterproof, but that’s asking a lot from a piece that’s labeled as a hoody. The fact that it’s water resistant and can keep you warm when fully wet is enough for me. Not much to complain about here. The Tough Puff Hoody has since become a staple in my wardrobe. I wear it almost every day in these mild winter months. On those really frigid days it can be layered under a down jacket or shell and on the warmer ones a simple t-shirt underneath will do. I love the Tough Puff technology so much that I even bought the Tough Puff Shirt as well. The fine folks at Patagonia did anglers a solid in designing this piece with them in mind. Do your body a solid and purchase one and put your mind at ease knowing you’re supporting a company who gives a damn. UPDATE: I have since worn the Tough Puff Hoody for a day of snowboarding and it performs just as well on the mountain as it does on water. I wore it under my overall-bib pants and kept it on all day in temps ranging from 20-52 degrees. From the river to the mountain to the streets, the Tough Puff has you covered. Now I leave you with one last question, are you Tuff Enuff? I made it to Goblin Valley early and walked along huge red hoodoos. I couldn't find anyone to tell me what Grand Swell actually was... and then drove to Capital Reef. I had no expectations for Capital Reef and when I entered the park my mouth dropped. To the left were some of the most colorful and structurally intriguing mountains I had ever seen followed by a beautifully clear winding river to the right. As soon as I walked into the information center I caught wind of someone saying something about fishing. I immediately started asking a million questions to one of the rangers. She only knew some general information and directed me to another information center down the road. That gentleman knew more but once again told me to go 30 more minutes to a fly shop. I happily agreed to make the drive. I passed at least two other fly shops on the way, but held out for this specific fly shop this random man told me about. 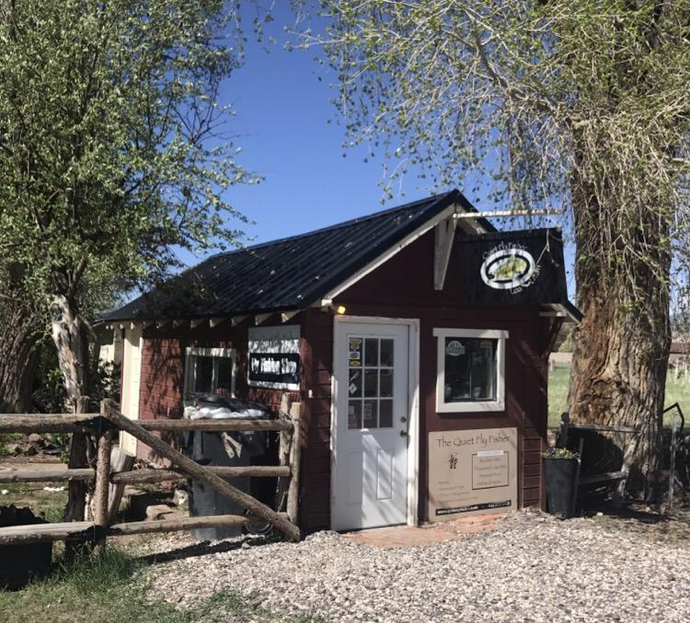 I, of course, missed the turn and circled back to find a tiny little shed-like structure next to a historic home that was what I had been looking for in Loa, Utah; The Quiet Fly Fisher. There were chickens everywhere but no one to be found. After knocking on the door for a minute or two I sadly gave up. As I walked to my truck a man appeared from across the street carrying groceries. He unlocked the smallest fly shop I had ever seen. We spoke in length about where I could go fishing. He showed me many locations on a map and then had his son retrieve another smaller map from inside the house. I had directions and some good intel on a couple places to stop. The first couple stops were either busy or unaccessible from flood waters ( and you better believe I tried to make it down those impassable roads). I knew I had one more option further down scenic route 12 in my back pocket for the next day. I pulled off along 12 and did a little fishing for tiny Brookies as I set my truck up for the night. Camping in May around 10,000 feet proved to be much colder than I had expected. I put on the most clothes I have ever slept in, along with my winter boots and slept in my truck that night. As promised, the stars were just as beautiful as the scenery during the day. Capital Reef was one of the most unexpected naturally gorgeous places I found on that solo road trip in 2017 as well as some of the most under rated fishing I have experienced. I woke up early that day and jumped back on 12 to find that special location that I could fish for alpine Brookies and Cutthroats. A couple miles down the road I turned off to the right to park my truck. As I walked up to the trailhead signage I saw a severed deer leg laying on the ground. This did not inspire hope, for I had just been told the previous day that I should have a gun while hiking because of the numerous black bears that live in the immediate area. I obviously had no cell phone service but decided I would make that 2 mile hike alone to catch my first Brookies and Cutthroat. I put on my waders and grabbed my rod. The trail was not extremely well marked but I just kept going. As soon as I reached the aspens I nervously decided I needed to make some noise. I grabbed a stick and started hitting it against my Orvis reel. I felt pretty stupid ( like something out of The Parent Trap) but as soon as I got to a specific spot on the trail I no longer felt stupid. I hurried up the trail and found a picturesque opening that was close enough to the trail to feel safe. I tied on a hopper with a dropper and started hooking baby Brookies. The creek was no deeper than 2-3 feet deep at its deepest and a foot wide at its narrowest. After spooking the largest Brookie I had seen, I chose to keep hiking to the lake. There were three people there when I arrived. As they left, shortly after my arrival, they smiled at me and expressed how jealous they were that they did not think to bring a fly rod themselves. I walked over to one of the higher river inlets and waded out into extremely thick weeds. As I moved copious amounts of insects got rustled and swarmed around me. 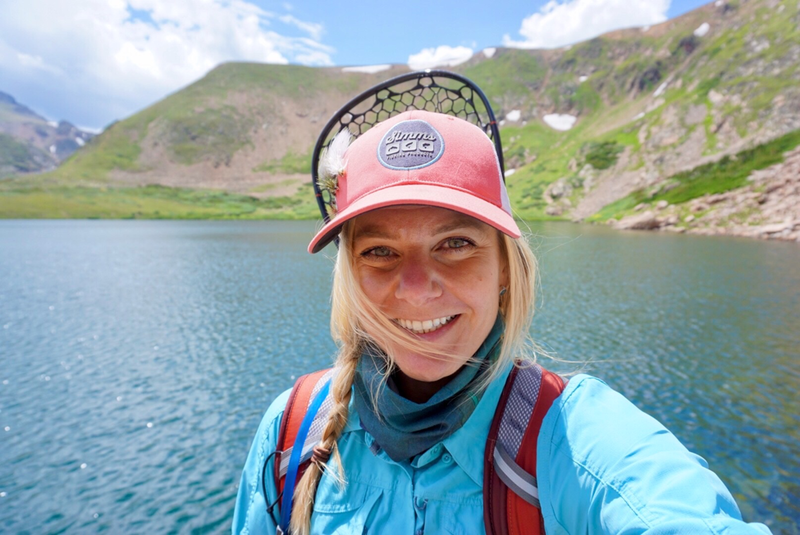 I threw that same hopper only about five feet past the weed line and I saw a Cutthroat swim up and crush my dry in the crystal clear alpine water. Within a matter of an hour I had landed my first wild Brookies and Alpine Cutthroats. I hooked three more Cutties and called it a day. It was obvious those trout did not see a lot of traffic and were hungry. I still was not feeling great about potential bear attacks and proceeded to run down the trail as fast as I could in waders and boots. I swear I saw something that looked like a bear at another alpine lake as I hiked down... but I was not going to stick around to find out. I made it back to my truck and took off my waders as fast as I could. It was time for Vegas. With a big smile, I continued down the very scenic route 12. Overcoming my fear of bears and catching some of the most beautiful trout I had ever seen, I turned up the volume on my road trip playlist.. for that day was a great day that I will not forget. I recently got my hands on this fly box, and now I can't see myself having anything else in my kit. From the outside this box looks like the rest of the Umpqua UPG Line. Once you open this box you will find that it is 2X bigger than the next size from Umpqua. The Walkabout has the highest fly capacity per-inch on the market. This box is HUGE! The swing leafs inside offer a few different options of organization, and 4 TPE (Thermoplastic Elastomer) Platforms for Nymphs, Dries, and Streamers. TPE is lighter than silicone, and the injection molding has extreme gripping properties with high density, and low memory - once removing a fly you will watch the mold reshape. The magnetic storage option is the perfect spot for flies soon to be tied, or flies recently used. This is the best for lazy anglers, like me, who don't always put flies back in their correct spots. Unless lost, this fly box will last for a very long time. The only downside to this box would be losing hundreds of flies ($$$) by losing the box but, Umpqua has made this hard to do by adding lanyard strap anchors on both ends of the outside hinges. This box fits perfectly in the inner armpit pockets of my Patagonia Rio-Gallegos Waders. If you want a waterproof, shatterproof, and the highest quality fly box; this is the one for you. You will not be unsatisfied with this product. ● 7.25" x 4" x 1.6"
There's nothing quite like peak dry fly season in the Rockies. Hot summer days filled with rising trout, size 10 stimulators, glacier-fed creeks, roaring rivers, high alpine lakes, frosty beverages, and caddisflies destroyed by the monstrous take of a brookie. These moments are branded into the angler's conscience, fueling the fire through the winter months. While it is true for me that the hook-ups of surfacing trout leave lasting memories, more so do the ones that turned away at the last second, the ones that just missed my untimely set. These moments are burned into my brain after each day of fishing. Every close of the eyelids bring flashes of gaping white mouths just missing my fly, trout rocketing from the river bed breaching like a white shark on a seal. These visions stick with me throughout the day and congregate most prominently when I lay down to bed for the night. Taunting me as if to say "remember all the fish you lost out on today?" testing my fragile angler ego. 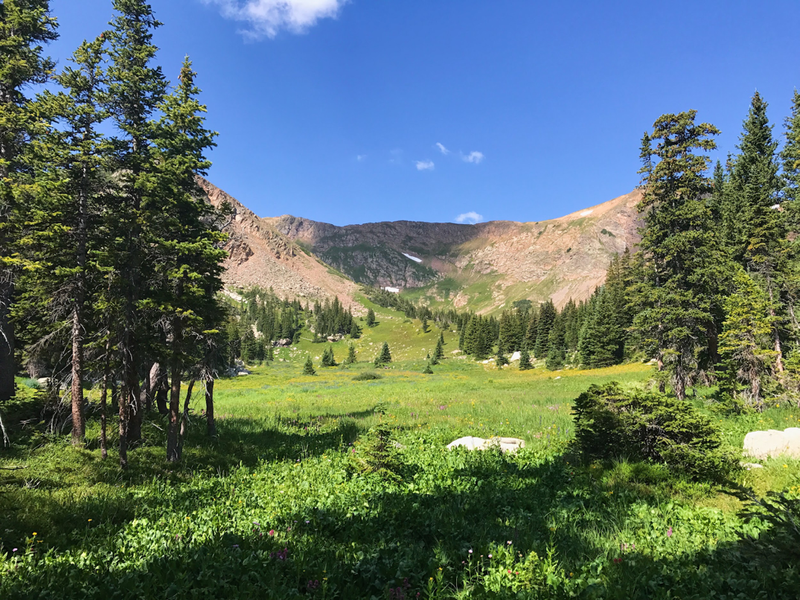 This past August I found myself on a solo trip to Rocky Mountain National Park with the intention of procuring a grand slam on the Big Thompson. I succeeded in landing some beautiful Brown, Brook, and Greenback Cutthroat all over twelve inches. But for the amount of trout I had put in the net, I had lost just as many, if not more. The ones that were sure they had a caddis or yellow sallie in their stomachs, the ones that got away. Overall the day was a success and I was headed to Granby to stay at a friends cabin for the night. But like clockwork, for the entirety of the drive over Trail Ridge Road and through Grand Lake, the flashes were there: A decent brown darting out from a bank after my hi-vis elk hair caddis, my impatient set, little cutthroat striking at my fly in the riffles, brookies just missing out as I prematurely lift my files out of their drift. As I laid there in bed they played themselves over and over again in a loop. "Why must I remember these moments?" I said to myself. Why is it that I remember all the missed opportunities and fail to look back at the moments I prevailed? I believe the mind sub-consciously holds on to these moments with the hopes that a lesson might be learned. What did I do wrong? What can I do differently next time? If we're doing nothing but catching then we aren't really learning are we? With every missed fish comes a haunting memory, but an opportunity to learn. So I say embrace your failure, when you lose a fish say "good" and move on, let those memories haunt the hell out of you. The more we think about our craft and look back at the times of success and failure the better anglers we become. 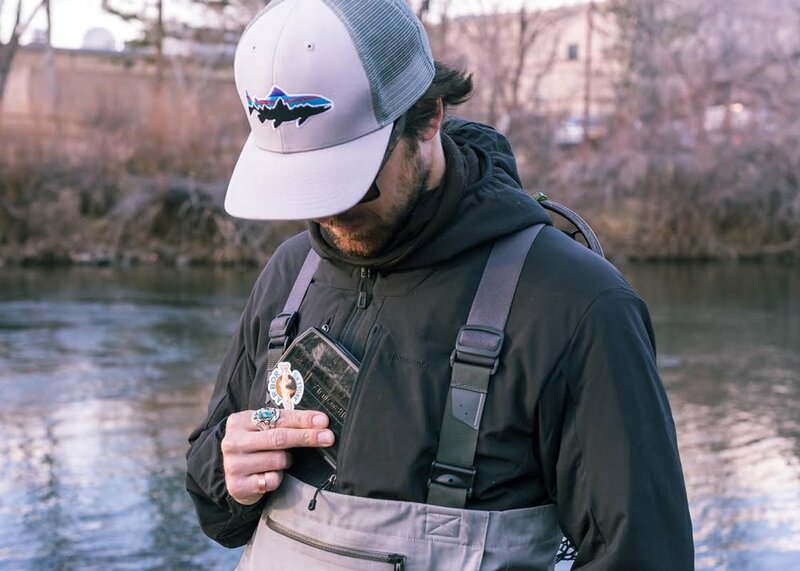 Norman Maclean put it best when he wrote, "One great thing about fly fishing is that after a while nothing exists of the world but thoughts about fly fishing." I couldn't agree more. “'There are no mosquitoes in Iceland' explained our guide Heimir Bjarnason, just as I was pulling my Alaskan hood over my head. “There are no ants, no grasshoppers, no dragonflies, and no damsel flies” he continued. 'Well, there go our terrestrial patterns' joked my wife Judy, pointing to the fly boxes on our lanyards."